David Aaron Charley, 52, of Edgewood, Ky, passed away unexpectedly on Friday, Jan. 27, 2017. He was preceded in death by his parents: Peter and Muriel Charley, and his sister: Nancy Charley. David is survived by his loving daughters: Samantha Charley, and Megan Charley, his sister: Pat Charley (Mark Balkan), and his dear niece: Anika Balkan. 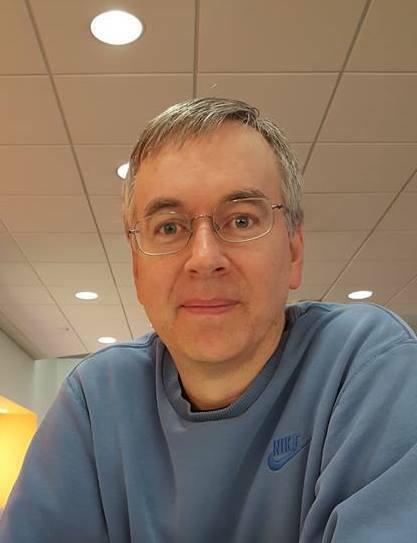 He earned a bachelor’s degree in computer science at the University of Kentucky and had completed significant work toward his doctorate degree at the University of Cincinnati. He worked for P&G, AT&T and most recently for Elsevier. Please join those of us touched by the life of David Aaron Charley on Sunday, March 26, 2017 at the Evendale Recreation Center Flex Room, 10500 Reading Rd, Cincinnati, OH 45241 between 2:00 and 5:00pm. An informal memorial service will be held from 2 to 3pm, followed by light refreshments. There also will be time for one of Dave's favorite sports activities - volleyball. Dress is casual (Dave was a UK fan so perhaps you might want to wear something that reflects this), and if you would like to participate in a volleyball game in the Center's gym area, feel free to bring the appropriate clothes and shoes in which to change. David is remembered by his quiet, helpful, and steady ways, as well as his love for daughters Samantha and Megan. Let's take a moment to reflect and celebrate David's life. The favor of an RSVP is requested by Sunday, 3/19/2017, to help in refreshment planning (email Tony Alonso at machboy@fuse.net or mobile 513-702-6803). Condolences may be sent via www.serenityfuneralcare.com or to Samantha and Megan Charley, 3 Glazier Rd, Ft. Wright Ky. 41011. Memorial contributions may be made to the David Charley Memorial Fund at any 5/3 Bank location in support of his daughters.